Would You Care For More Coffee, Justice Douglas? In 1967, I relocated with my teen rock band, The Velvet Illusions, from Yakima, Washington to Hollywood, California. While the recordings we made in the 60’s are now highly sought-after collector’s items, our band was fated to break up soon after we landed in Hollywood. I subsequently moved home to Yakima, and I found myself needing a job. Although I was just 18 and living at home, I needed to contribute to our family income. 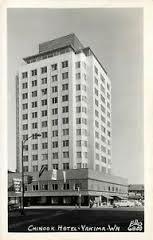 I soon secured a position at the tallest building in Yakima, the fourteen-story-tall Chinook Hotel. I obtained a job at the hotel’s Red Lion Restaurant. I began my Red Lion career as a busboy; but I was soon promoted to waitperson. I often worked the breakfast shift in the hotel coffee shop. 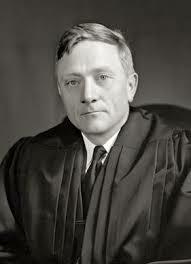 One of my favorite customers was Yakima resident, United States Supreme Court Justice William O. Douglas. It wasn’t because we engaged in great conversations. Because on Day One, I was instructed by my lead waitress, Inez, to refrain from making chitchat with Justice Douglas. He needed to be left alone with his thoughts. As one would expect. 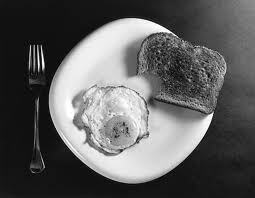 The Justice had the same breakfast every day. I simply brought him his food and kept his coffee cup filled, and we said our “Good morning’s”. That was about all that transpired. But I was in awe of him. I thought it was amazing that a Yakima High School graduate, one who grew up working with migrant laborers, picking cherries among other jobs, and who was not sure he would even be able, due to his dire financial circumstances, to attend college, would eventually become a member of the highest court of the land. I also worked as a waiter during my tenure in Hollywood, where I served some big stars. And in Yakima, I often waited on the City Fathers (there were no City Mothers yet) who gathered every morning at the restaurant’s “Round Table”. 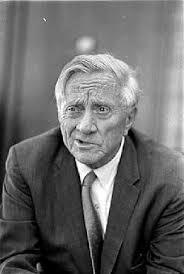 But Justice Douglas was definitely the most impressive and accomplished person I ever interacted with. Hopefully we all recognize that every person has unlimited potential. It is not a good idea to look down on a cherry picker. He/she just may be a future member of The Supremes! After having a long career in music, I returned to school, where I completed a clerical workers class. I soon found myself employed by several Seattle, Washington law firms, where I was able to immerse myself in the Law!